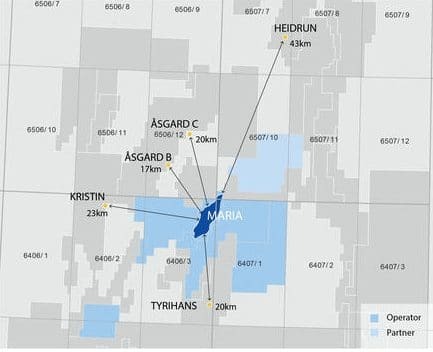 Wintershall is unsure when Maria will start producing again after the field was temporarily shut-in in February because of lower than expected production rates. In an interview with Sysla, Mario Mehren CEO Wintershall, confesses that he is disappointed how the Maria field has performed so far and that there is uncertainty when it will start up again. Wintershall started production from the Maria oil field on Haltenbanken in the Norwegian Sea in December 2017, one year ahead of schedule and with 20% reduction in costs. Maria was Wintershall’s first own-operated field in Norway. Wintershall chose an innovative subsea concept to develop the field. 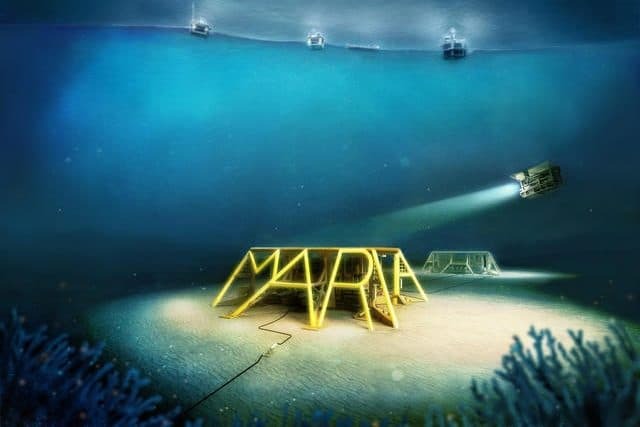 Two subsea templates were installed on the seabed above the Maria reservoir and connected via a pipeline network to the existing Kristin, Heidrun, and Åsgard B platforms. Approximately a year after the field came on stream, Wintershall said that the field’s production performance did not yet meet its expectations and since February the field is shut-in. They are still monitoring and testing pressure conditions across the reservoir to establish the best way to leverage the full potential offered by the Maria field. The reservoir in the Maria field is the Middle Jurassic Garn Formation. It is a well-defined horst block structure with moderate reservoir quality. Water injection is provided to pressure-support the field, pumping water into the zone below the oil to help push the hydrocarbons up towards the well producers. Extensive analyses show however that there is low connectivity between the geological layers in the reservoir. The result is that the water injection can not provide the necessary pressure support to sustain the expected production rates. According to Dagens Næringsliv the reserves in Maria have even been reduced to 60 million barrels of oil from the original 207 million barrels of oil. One of the important upcoming projects is the Nova development, of which the PDO was approved in autumn 2018. Although the development solution of Nova is a similar sub-sea concept, tied in to a producing field Mehren does not see any problems with that. The difficulties experienced with Maria are related to the reservoir and not to the development concept itself.